NEOM offer a modern luxurious take on beauty and home treatments. NEOM products are beautiful and organic, as well as having fantastic holistic properties due to their high essential oil content. NEOM also strongly oppose synthetics and harsh ingredients, and therefore offer beautiful organic scents that evoke pure indulgence. 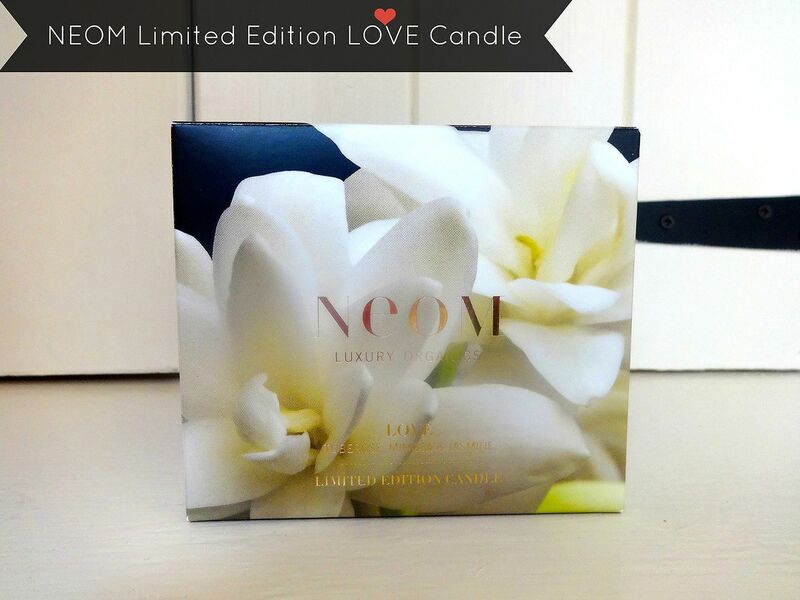 NEOM’s brand new limited edition candle “LOVE” is a beautiful and warming combination of Tuberose, Mimosa and Jasmine. The limited edition LOVE candle has been released especially for Valentines day to fill you heart and home with LOVE. The fragrance is truly unique, and nothing like I have smelt before. The blend of precious ingredients also includes the sweet bloom of the mimosa plant that offers a creamy, floral fragrance with hints of honey and spice. I love how NEOM have carefully created a scent that makes you feel warm and completely at ease. It really is a fantastic blend of sweet, floral and spice, which makes it the perfect way to indulge in all of your senses at once. It has been proven that just 10 minutes of “me” time can really help to re balance your inner calm, meaning that dealing with everyday stresses can be a lot more manageable. I have found the LOVE candle to be the perfect companion for some self-indulgence both in the day and the nighttime. 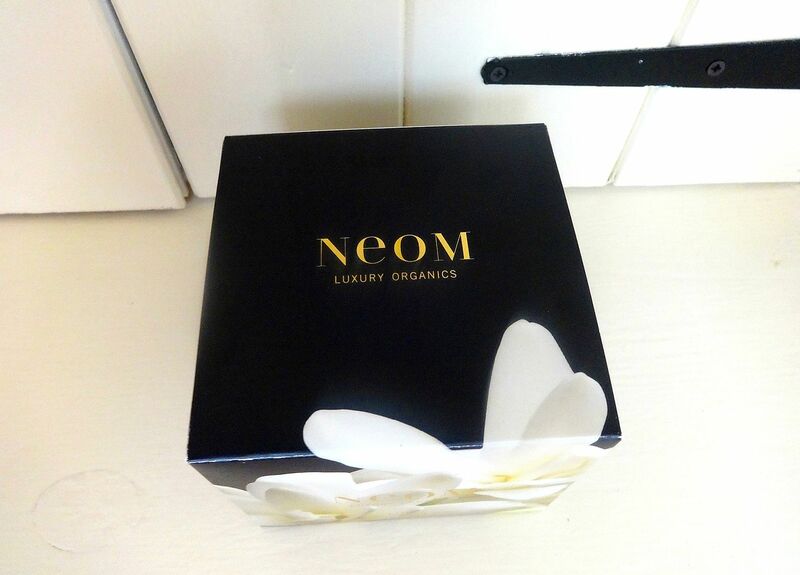 NEOM’s LOVE candle has been created in a limited edition black glass, which looks absolutely stunning especially when its three wicks are burning. NEOM candles are all hand poured in Britain from a blend of 100% natural vegetable waxes and pure essential oils. There are no paraffin waxes, synthetics or artificial Chemicals involved in the creation of this candle, which is why NEOM candles are so luxurious. The LOVE Candle would be the most beautiful gift for that special someone this Valentines, or even as a treat to yourself. The candle is expensive at £42.00 but it has an amazing burn time of 50 hours, which means you will be able to really enjoy and get the most out of this gorgeous candle. Every time I light this candle it completely fills my room up with a magical warming fragrance that makes me feel so comforted. The floral notes of this candle also appeal to my girly side, its simply beautiful. I honestly can’t rave enough about this product, and it is something I would 100% re purchase! I’m tempted to order myself one, as I will be totally gutted when it finally burns out. I always look forward to lighting this beautiful candle, and the combination of sweet, floral and a touch of spice is just the perfect way to relax. I would definitely recommend this candle, and I think it would make such a beautiful gift. The packaging is luxurious, and the Black glass looks stunning when the candle is burning as well. As I mentioned it is quite pricey at £42.00 but with its impressive 50 hour burn time (30% more than other premium candles) and romantic scent, I definitely think it is worth the splurge. 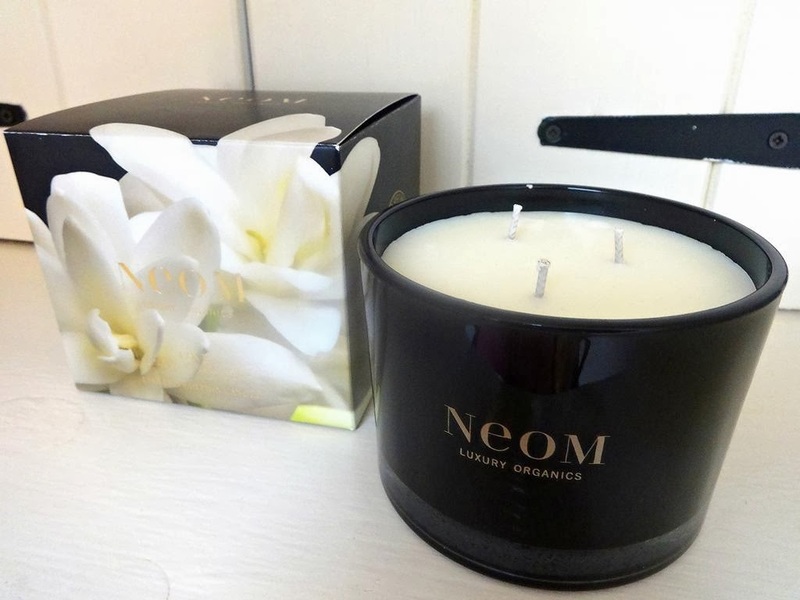 I would love to know what you think about this gorgeous candle.. have you tried NEOM before ? I absolutely adore candles and this one sounds amazing! I've never heard of this brand before, but it looks lovely. I can't say I'd ever spend that much on a candle though, if it cost me almost £50 it would have to shoot out unicorns or something! I adore multiwick candles, they always seem more wholesome and homely! would love to try this, great review!